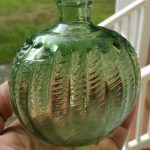 Home / Utilities / EARLY American Pitkin-type bottle! 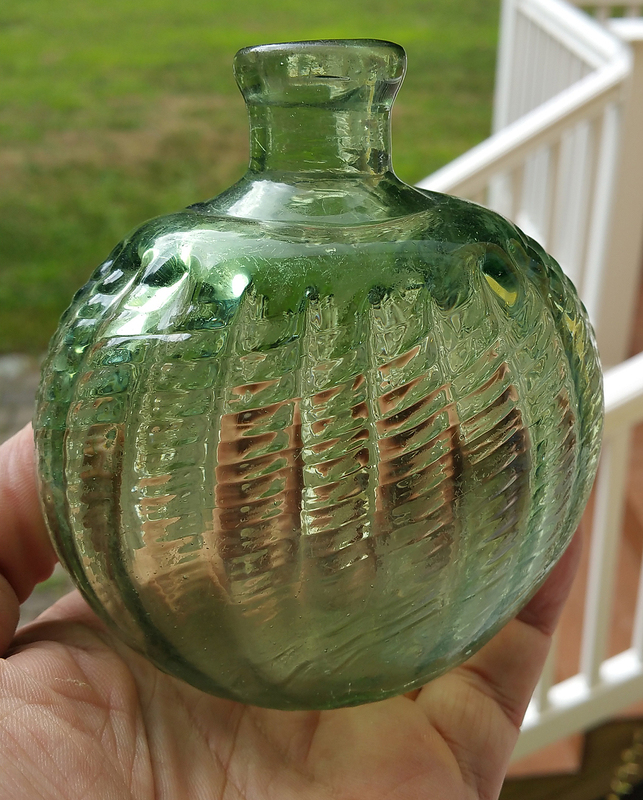 Here is a great little CHUNKY swirled, ribbed pattern bottle, likely 18th century New Jersey area. This are quite scarce, if not rare. 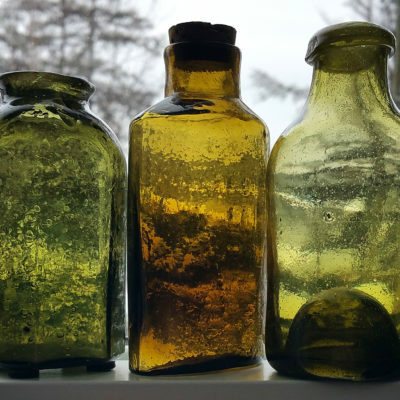 They are also some of the earliest “Pitkin” bottles blown in America. 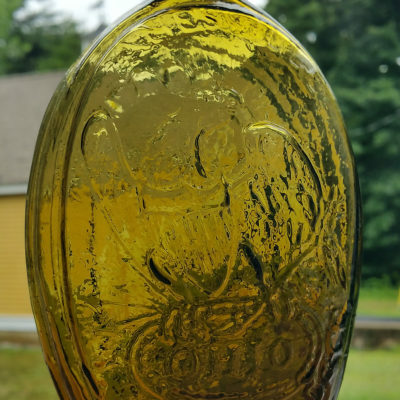 This one is double patterned, 20 ribs, and a nice yellow green color. 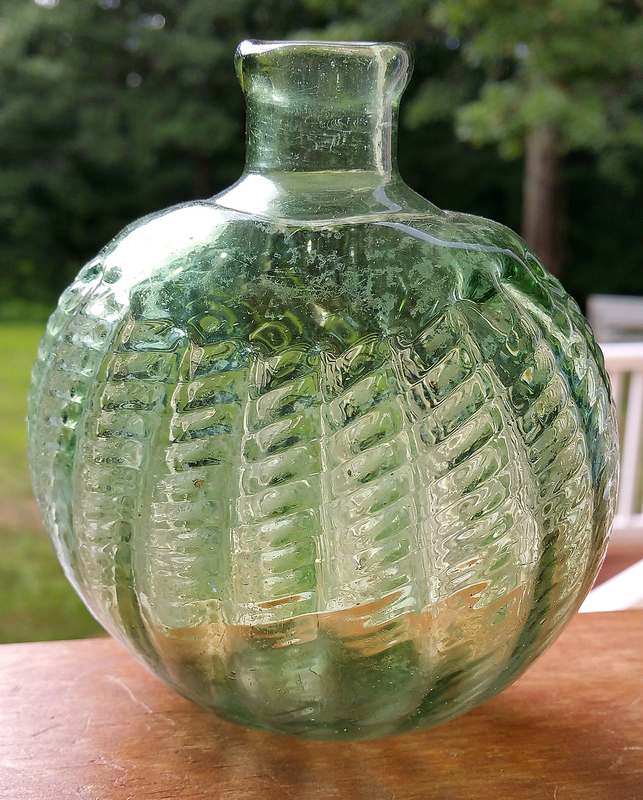 It is under 5″ tall, around 4 1/2. Pontil base, sheared lip. You will see dozens of Pitkins before you see this variety! 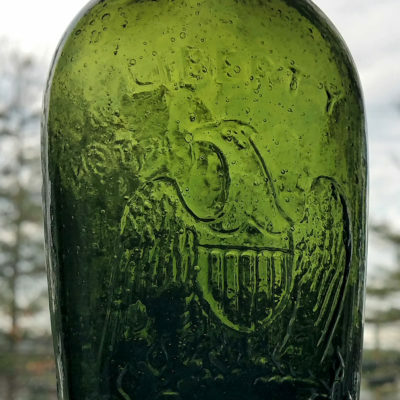 There is some scattered wear, but no issues… wonderful early bottle! 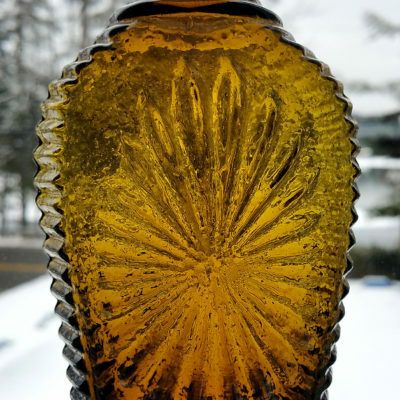 3 EARLY New England Utility Bottles! GII-63 LIBERTY Willington Eagle 1/2 pint! Great color, OP!